CAD stands for Computer Aided Design. 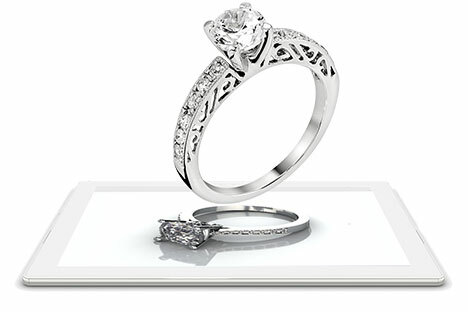 It is a design process that takes the guesswork out of custom jewelry design. It allows you to communicate design to your customers in a way that even the most difficult customers will appreciate. Your customers will see photo quality renderings of their design prior to production of the actual piece. Mistakes and miscommunication are discovered at this point rather than after a piece is completed.